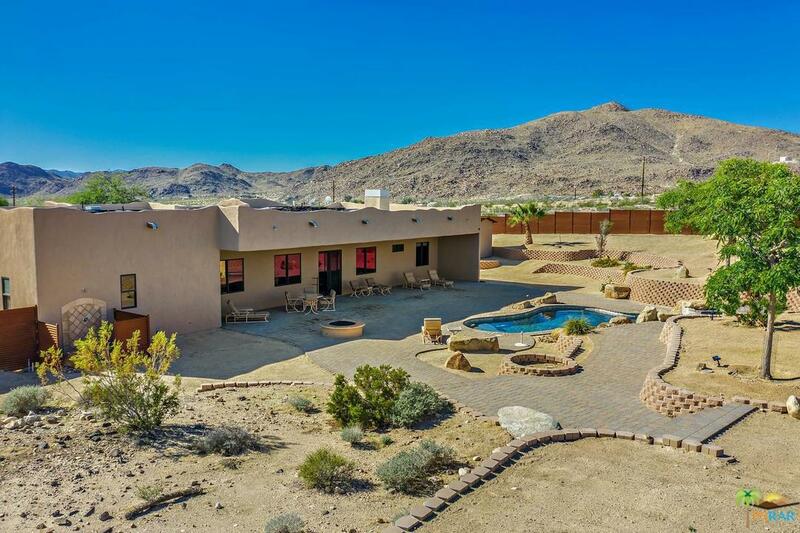 Discover your own sanctuary in the awe inspiring high desert, located minutes from Joshua Tree National Park. 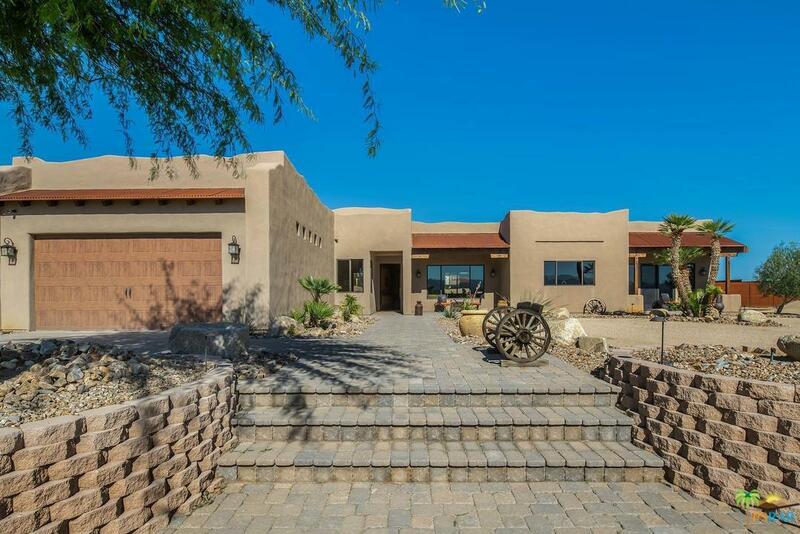 Wide open spaces, relentless attention to detail and sweeping desert views await you. 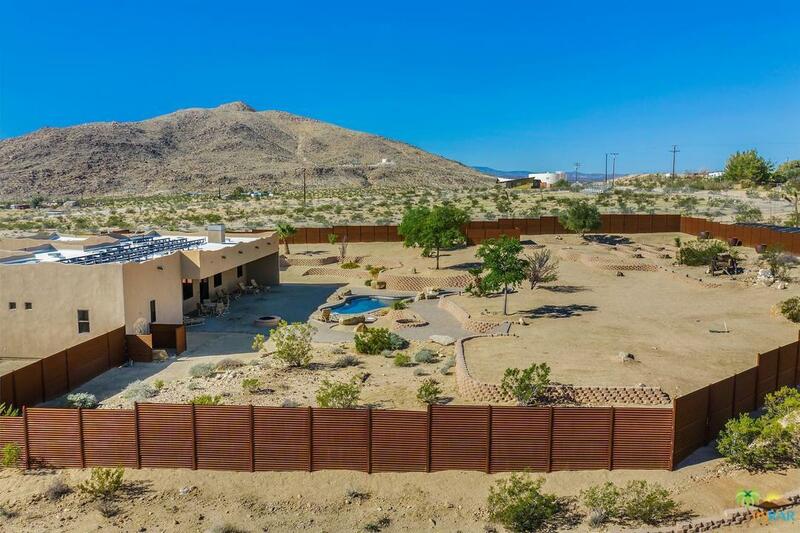 Your secluded enclave includes 3 separate living areas: a recently completed modern main house, a 2-bedroom guest house (once an original homestead), a one-bedroom casita, swimming pool with a hot tub. As an added bonus, a spacious machine shop or artist garage, with ample room to store your Coach. 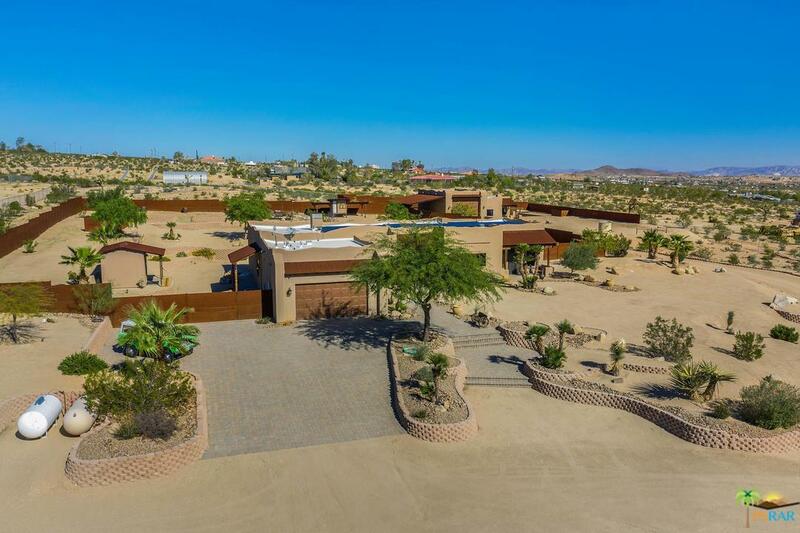 From the romantic master suite with a custom closet, built for a movie star, to the master chef-approved stainless steel appliances, this home will appeal to all your senses. Rent out the spacious guest house to vacationers or full-time renter looking for creative inspiration. Unwind with a glass of wine and relaxing sunset from the resort-style pool and let the waterfall wash your worries away. Home offers owned solar, in addition to a long and readily available list of high quality upgrades.